New research by Professor Valentyna Melnyk from the Massey Business School shows that consumers respond more positively to emotionally warm messages (those that incorporate feelings of love, joy and happiness) if they are feeling physically cold. Similarly, emotionally cold messages (those that use emotions like fear, loneliness, regret and disgust) will get a better response if the consumer is feeling physically warm. "We know that both emotionally cold and emotionally warm advertising can be effective," Professor Melnyk says, "but this is the first time research has attempted to understand when each approach should or should not be used." Professor Melnyk and her co-researchers drew on homeostasis theory, which says that humans constantly strive for an optimum internal body temperature of 37 degrees Celcius, and neuroscience literature that suggests perceptions of physical temperature can be connected to emotions. "Our key finding was that emotions can serve as a homeostatic response," she says, "that is, our experiences of some emotions actually make us feel colder or warmer to compensate for the physical temperatures we are exposed to." Professor Melnyk and her colleagues tested their theory by showing participants in two different rooms – one cool and one warm in temperature – the same emotional imagery and measuring their responses. These findings were supplemented with marketing research data from a large multinational that recorded people's evaluations of television advertising at various physical outdoor temperatures. Professor Melnyk says the research has several business implications, especially for the way products are marketed and packaged. She says businesses operating in countries with large seasonal temperature variations should choose emotionally cold advertising appeals during the summer months and emotionally warm appeals in winter. Similarly, the research suggests international advertising campaigns should be adapted for different climatic regions. "Companies should not necessarily run the same advertising campaigns in Australia and Canada, even though the two countries are culturally and economically similar," Professor Melnyk says. "A good example is Coca-Cola, which developed two very different Christmas ads. One really highlighted family and warmth, targeting northern hemisphere consumers where where Christmas is during winter, while the other used a 'cool vibe' to target those in the southern hemisphere, including New Zealand, where Christmas is in summer." Social marketing campaigns, like anti-tobacco or anti-speeding campaigns, which have traditionally relied on the cold emotions of fear, regret and disgust should also take temperature into account, she says. "While the traditional apporach may be effective during an Australian or New Zealand summer, in colder seasons or regions it would be worth considering the use of warmer emotions. "One rare example is a recent anti-speeding campaign in Germany. 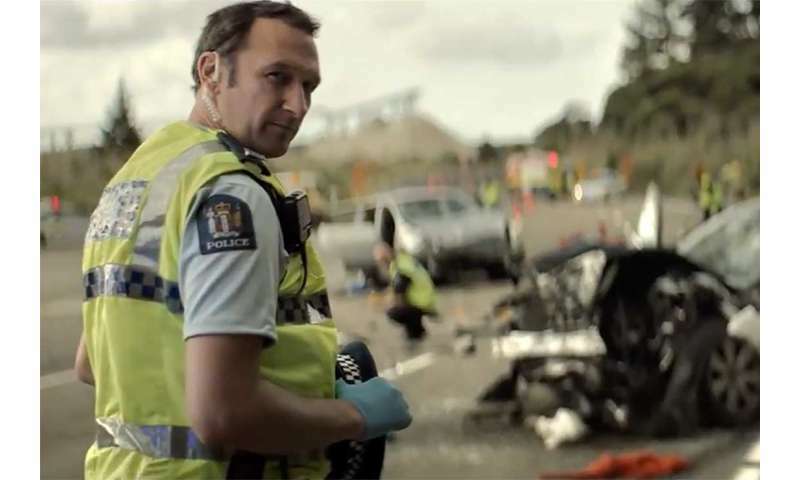 Instead of showing the consequences of speeding by portraying an accident victim, the campaign featured a woman lovingly urging her husband to take his time while driving home so he will arrive safely. It would be great to see more heart-warming social campaign ads in New Zealand, especially as we approach winter." Professor Melnyk's final piece of advice is for producers of frozen or refrigerated goods. She says their products would benefit from emotionally warm images on their packaging because, at the time of purchase, consumers are exposed to physical coldness in the freezer environment.